The first test flight of Rocket Lab’s commercially-developed Electron launcher was held up by weather Sunday, but conditions could improve for a launch attempt Monday from New Zealand to place an instrumented rocket stage into Earth orbit in a demonstration of the company’s low-cost delivery system for lightweight satellites. 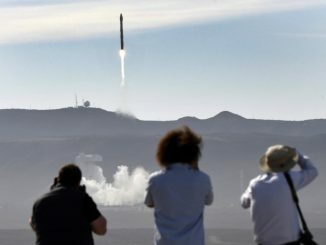 The two-stage rocket’s launch window opens at 2100 GMT (5 p.m. EDT) Sunday, or 9 a.m. Monday in New Zealand, but officials caution the test flight could blast off any time through June 1. 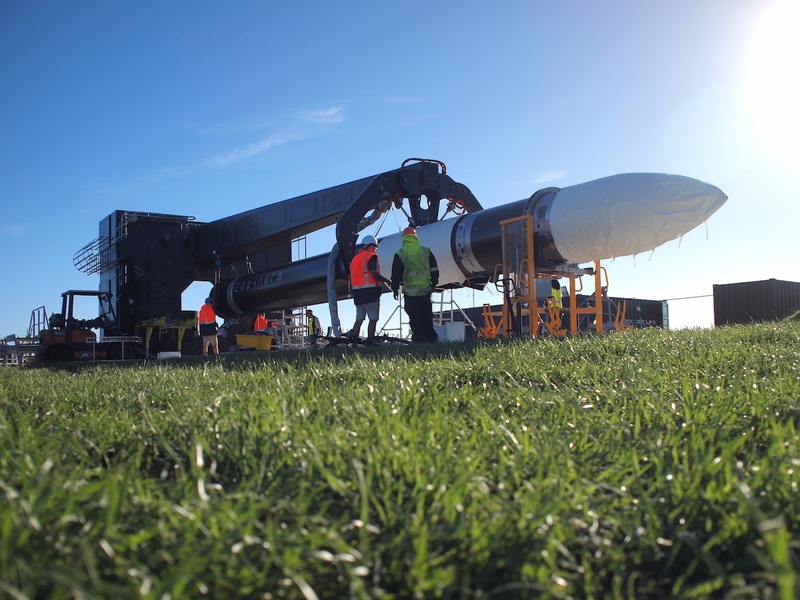 Launch managers will assess the readiness of the Electron booster, ground facilities and weather before attempting a launch, according to Rocket Lab, a U.S.-New Zealand company headquartered in Huntington Beach, California, with a design and engineering office in Auckland. Rocket Lab said Sunday that high winds prevented rollout of the Electron rocket to the launch pad in New Zealand in time for a countdown Monday, local time. The earliest the launcher could take off is now Tuesday morning in New Zealand, or Monday afternoon, U.S. time. The 55-foot-tall (17-meter) Electron rocket is designed to place small satellites into orbit for commercial and government owners. Rocket Lab says it will charge $4.9 million per flight, significantly less than any other launch provider flying today, and offer a dedicated ride for payloads that currently must ride piggyback with a larger payload. The maiden flight of the Electron, christened “It’s a Test,” is the first of three test launches Rocket Lab plans in the coming months. With money from venture capital funds in Silicon Valley and New Zealand, along with a strategic investment from Lockheed Martin, Rocket Lab completed the design and qualification of the Electron rocket with less than $100 million since the company was established in 2006, according to Beck. “We’ve done a lot in a short period of time with a little,” Beck said in a March interview with Spaceflight Now. Rocket Lab’s progress was marked with test launches of more than 80 sounding rockets since the company’s formation. The total money invested in Rocket Lab to date is $148 million, and the company was valued at more than $1 billion during a Series D financing round closed in March. 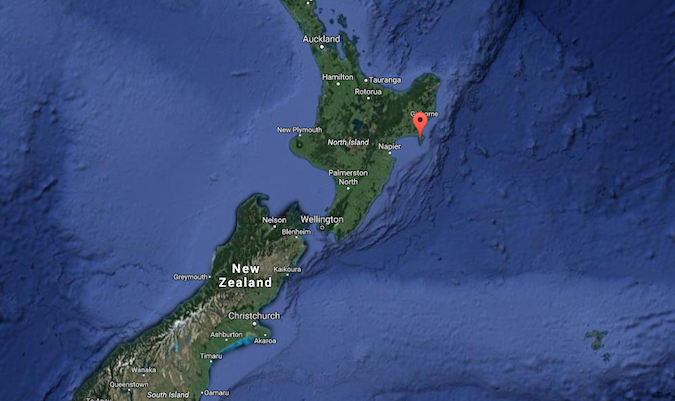 Rocket Lab’s launch base, dubbed Launch Complex 1, is located on Mahia Peninsula on the east coast of New Zealand’s North Island. The facility — the first privately-operated orbital launch range — sits on an outcrop overlooking the Pacific Ocean, a site Rocket Lab says allows it to put safely place satellites in a range of orbits, including sun-synchronous perches preferred by Earth observation craft, without flying over land. The Federal Aviation Administration is the regulatory agency overseeing the launch base and Electron missions because Rocket Lab is headquartered in the United States. 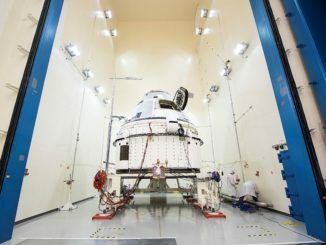 The FAA approved a launch license for the first three Electron orbital test flights May 15 after a series of countdown rehearsals that involved loading the rocket with propellants and checking its ignition and destruct systems. The target for the Electron’s debut launch is an orbit between 186 miles (300 kilometers) and 310 miles (500 kilometers) in altitude, inclined 83 degrees to Earth’s equator. 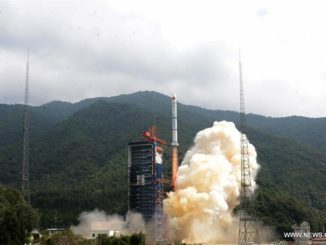 But the rocket will not carry any commercial satellites. Only an inert payload and sensors to monitor the performance of the Electron will be aboard the inaugural mission. More than 20,000 channels of instrumentation are on the first Electron rocket. Future Electron missions could loft up to 330 pounds (150 kilograms) of payload to a circular sun-synchronous polar orbit 310 miles above Earth. A Rocket Lab spokesperson said the company will provide daily updates on the status of the launch beginning Sunday, but Rocket Lab does not plan to provide a live video stream of the flight. “Due to the likelihood of postponements, test launch attempts will not be live streamed, but video footage of a launch and other press materials will be made available as quickly as possible following the launch attempt,” Rocket Lab said in a press kit detailing the launch. “During this first launch attempt, it is possible we will scrub multiple attempts as we wait until we are ready and conditions are favorable,” Beck said. Made of black carbon composite materials, the 3.9-foot-diameter (1.2-meter) Electron rocket is powered by Rutherford engines, a powerplant developed by Rocket Lab engineers that burns a mixture of kerosene and liquid oxygen. Each Rutherford engine generates around 4,600 pounds of thrust, using battery-powered pumps to cycle the engine’s liquid propellants, an innovation Rocket Lab describes as “entirely new” in rocket propulsion. Nine Rutherford engines drive the Electron’s first stage, producing around 34,500 pounds of thrust at liftoff, and powering up to 41,500 pounds of thrust later in the flight. A single Rutherford engine is on the Electron’s second stage. Readying the commercial launch range in New Zealand proved to be just as much a challenge as the rocket itself, Beck said. “We are not just commissioning the launch vehicle, but we’re commissioning an entire launch range, including all the flight termination assets and all the telemetry assets,” Beck said in March. “We’ve got downrange tracking stations that we own on remote islands in the Pacific, so it’s not just a matter of rolling the vehicle out to an established pad. “It’s the very first time that the FAA has provided a truly commercial launch license, so there’s a lot of work in that,” Beck said. 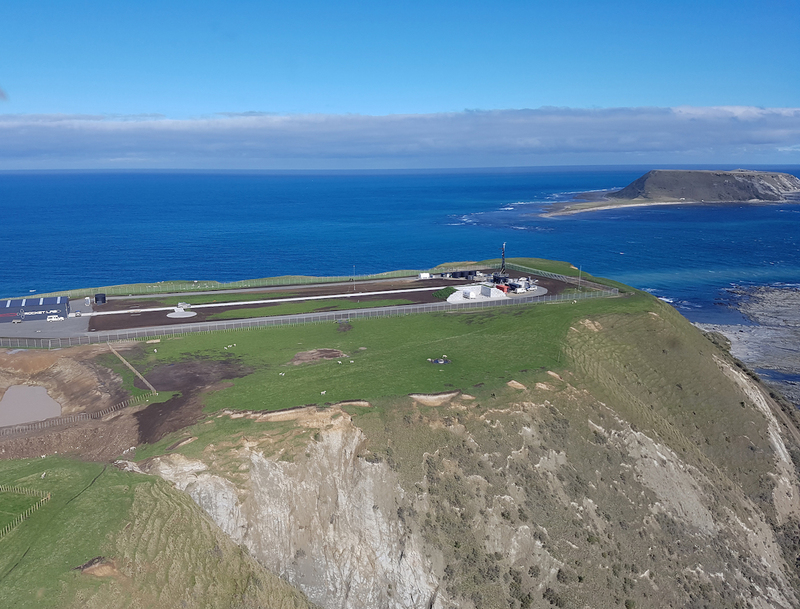 Personnel from the Pacific Spaceport Complex in Alaska have been in New Zealand for several months to set up and test tracking and range safety systems at the Mahia Peninsula launch site. Ground crews spent the last few months checking connectivity between tracking stations and verifying the destruct mechanisms on the Electron rocket could terminate the flight if it went awry. Beck said the maiden launch will fly with manual and autonomous flight termination systems, and future Electron missions will likely carry just a self-destruct device, which simplifies the infrastructure required for a rocket launch. A crew of around 45 engineers and managers stationed at Rocket Lab mission control in Auckland and at a range control center at Mahia will be in charge of the countdown. Public access to the area around the launch base will be cut off beginning around six hours before liftoff, and the Electron will be lifted vertical by a support tower and filled with kerosene fuel at T-minus 4 hours. Liquid oxygen will be pumped into the rocket beginning at T-minus 2 hours, 30 minutes, and the Electron’s on-board computers will take control of the countdown at T-minus 2 minutes. Ignition of the nine first stage Rutherford engines will occur at T-minus 2 seconds. The engines will throttle up to full power as computers verify their health before the Electron is released from the pad. The rocket will clear the launch pad’s 4-story launch tower within about three seconds, then pitch to the south on an azimuth of 174 degrees, climbing past the altitude of most commercial airliners within about a minute, according to Rocket Lab. The initial flights of the Electron will be expendable, or single-use, but officials have not ruled out modifying the booster for multiple launches. Rocket Lab says it could launch once every 72 hours from the Mahia Peninsula base once commercial operations commence, but Beck said the company also has agreements to launch from NASA’s Kennedy Space Center in Florida and from the Pacific Spaceport Complex in Alaska. If successful, the Electron test launch will be the first commercial rocket to reach Earth orbit from a launch complex in the Southern Hemisphere. Beck said launches going into orbits over Earth’s poles could take off from Alaska, while other missions could be based from Kennedy Space Center. NASA is one of several customers who have signed up for a launch with Rocket Lab to place multiple small research satellites into orbit, committing to a nearly $7 million launch contract in October 2015. That mission is scheduled to lift off later this year. The U.S. space agency also signed launch contracts with two other company’s working on micro-launchers in the same class as the Electron: Virgin Galactic and Firefly Space Systems. The air-dropped LauncherOne rocket, now part of a Virgin division known as Virgin Orbit, could conduct its first test launch by the end of this year. Firefly ran into financial trouble last year and halted development of its Alpha launch vehicle. Rocket Lab also has a commercial launch deal with Moon Express, one of the competitors vying for the Google Lunar X Prize, for three missions to send micro-landers to the moon, the first of which must depart by the end of 2017 to win the prize. Other Rocket Lab customers include Planet, a San Francisco company which builds and manages a fleet of CubeSats in orbit designed to take daily images of Earth’s surface. Planet’s launches to date have been on supply ships heading for the International Space Station, where the CubeSats are deployed, and as secondary payloads aboard Indian rockets. Customers with satellites released from the space station or launched on the same booster with larger spacecraft often have little say about where or when their payloads go into space, a problem companies like Rocket Lab intend to solve. Planet signed a launch agreement in 2016 with Rocket Lab for at least three dedicated Electron flights, beginning this year. Spire Global also also agreed to send its CubeSat-type satellites to orbit on up to 12 Electron rocket launches, expanding the San Francisco-based operator’s fleet of commercial weather forecasting and maritime tracking spacecraft. Rocket Lab has also sold one Electron mission to Spaceflight, a Seattle company which aggregates small satellites from commercial, academic and government customers to share launches into orbit. 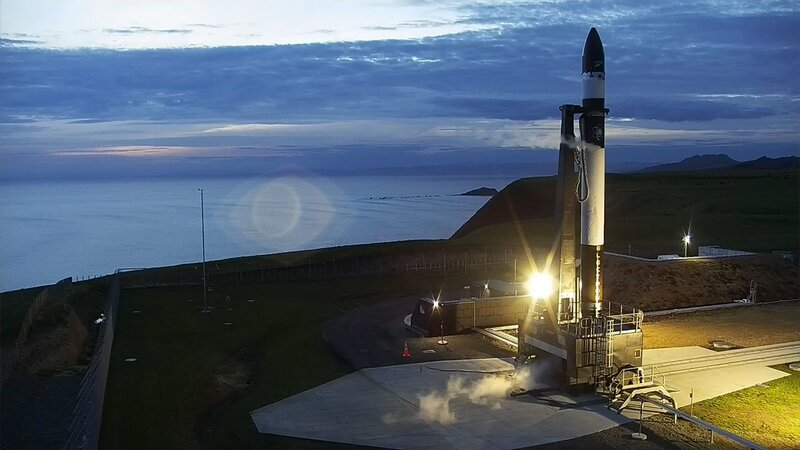 Spaceflight and Rocket Lab did not announce a date for the rideshare flight in a press release last week disclosing the launch contract. Rocket Lab’s latest infusion of $75 million from venture capital funds in March will help the company “scale up” its production to be ready for the anticipated launch rate, Beck said. The funding will also go toward outfitting a new rocket 150,000-square-foot rocket factory in Huntington Beach, California, and upgrading Rocket Lab’s existing facilities in New Zealand.